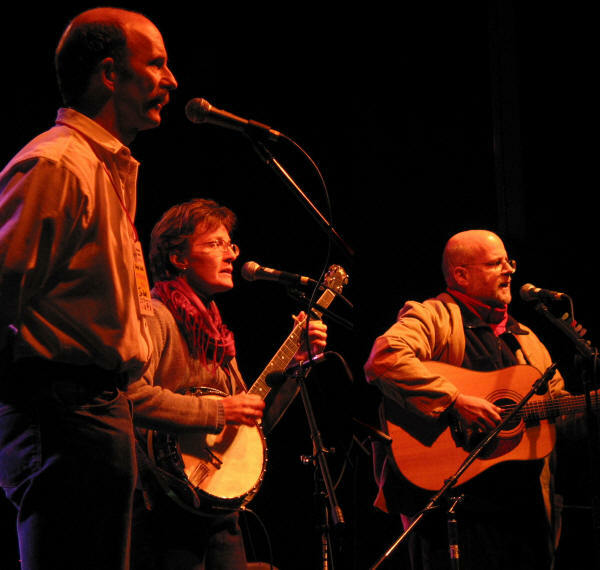 AlgomaTrad: The Algoma Traditional Music and Dance Group is presenting renowned folk trio, Finest Kind, in two Algoma Region concerts. Finest Kind will be performing a fundraiser at the Central United Church in Sault Ste. Marie, 160 Spring St., co-hosted by the Church, on Friday, September 14th, 7:30 PM; and at the Bruce Mines United Church, in conjunction with Sylvan Circle Tour (www.sylvancircle.ca), on Saturday, September 15th at 8PM. Finest Kind (www.ianrobb.com/finestkind) is a remarkable folk trio from Ottawa whose exquisite harmony singing and brilliant vocal arrangements are bringing a fresh sense of excitement and discovery to the performance of old songs. 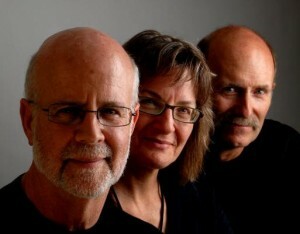 The trio’s glorious sound, served up with easy-going humour, has won a devoted following across North America. Finest Kind was formed in 1991 by Ian Robb, Ann Downey, and Shelley Posen. Ian, originally from London, England, is renowned as one of North America’s most gifted performers of British folksong, a concertina player extraordinaire, and composer of folk standards such as “The Old Rose and Crown.” Ann, who hails from the southwestern U.S., plays guitar, banjo, and bass, and has performed in bands playing old-time and cowboy music, bluegrass, klezmer, jazz, and swing in North America and Europe. Shelley, a professional folklorist from Toronto, is a versatile singer and multi-instrumentalist who has spent a lifetime researching, teaching, writing about, performing, and composing songs. Finest Kind’s album “For Honour & For Gain” was nominated for two 2011 Canadian Folk Music Awards. Finest Kind in concert, St. John's, Nfld. Admission to the Central United Church fundraiser is by Freewill Donation. Tickets to the Bruce Mines Show are now available here or can be purchased at the door. Tickets are $20/person, $15/student, $5/12 and under. $2-off coupons will be available at community halls involved in the Sylvan Circle Tour. More information can also be obtained at 705 782 4311.